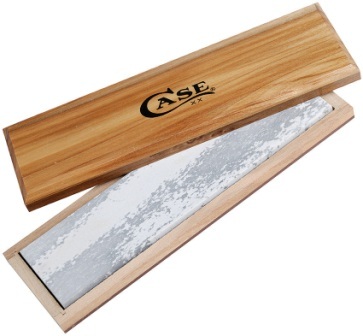 Case knife sharpeners for sale. 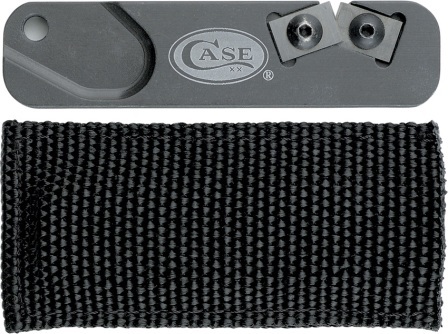 Great prices on Case knife sharpeners, Case pocket knives, and fixed blade knives. 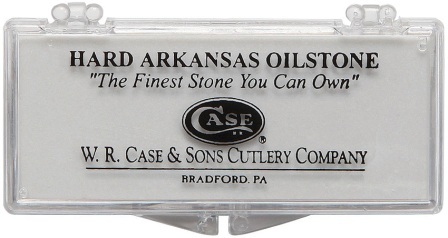 Links related to Case knife sharpeners are listed below. Made from Novaculite deposits located in Arkansas. Good for touching up and finishing a sharp edge. Use with oil. Storage case. Made in the USA. Dimensions: 5.25" x 1.5" x .5". Comes from deposit of Novaculite. 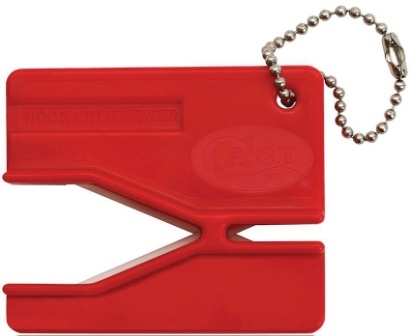 Ideal for woodworking tools, fine cutlery, pocket knives, and small tools. Use with oil. Storage case. Made in the USA. Dimensions: 5.38" x 1.25" x .5". Medium grit. Use with oil. Storage case. Made in the USA. 3 fl oz bottle. Bulk packed. Made in the USA. Dimensions: 9.88" x 2.5"x 0.5". 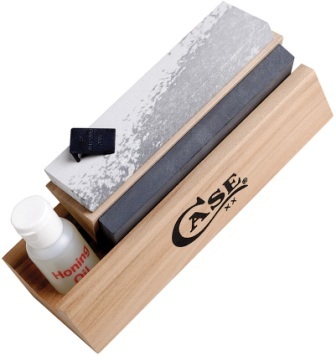 Soft Arkansas stone with wooden storage case. Bulk packed. Made in the USA. Each stone measures 6" x 1.5". Grit: Extra extra fine l Medium l Coarse. Non-slip base. Black Arkansas Novaculite stones. 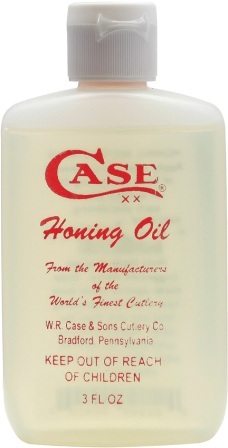 1oz bottle honing oil. Bulk packed. Made in the USA. Natural soft Arkansas stone. 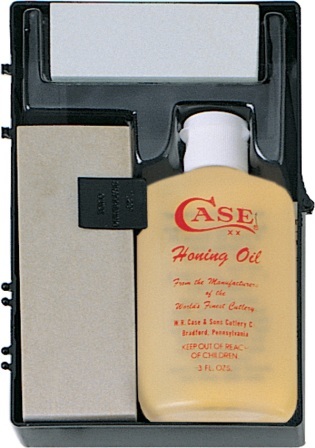 Can be used dry or with honing oil. 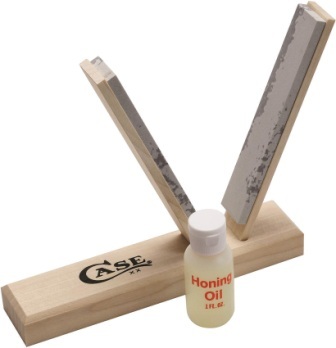 Kit includes: wooden base, two Arkansas sticks and 1oz bottle honing oil. Hang packaged. Made in the USA. Micro carbon carbide sharpening blades. Hardened ceramic honing surface chemically bonded to anodized aluminum handle. C65 on the Rockwell hardness scale. Black nylon pouch. Measures 3" x 3/4" Bulk packed. Made in the USA.